Life’s a bowl of cherries, right? Well, sure, but all cherries have pits, although some have their pits removed. What’s the hardest decision you ever made? What was the outcome? I wish you’d share with me in the comments section or by email. Maybe your hard decision was about letting someone go through divorce or otherwise. Perhaps it was about saying no to a child who kept depending on you. It could be that it was leaving a place behind and starting somewhere new. Maybe it was about turning off life support or selling a home. Looking back, those types of choices seem so easy to me today. Don’t worry about what college you’ll attend, just make sure you go. Take the job with the best benefits. Ask her to marry you on Valentine’s Day…it’s romantic. Smile. But the older we get, it seems the harder the decisions get. So we talk with friends and/or family, research the heck out of it, and finally, it seems – in desperation – we talk to God. Sometimes we wait on God’s guidance and sometimes we don’t. I like it when I wait. The outcome of the hard decision always seems to have a bit of a glow on it then – God’s glow. I’m facing a hard decision right now. 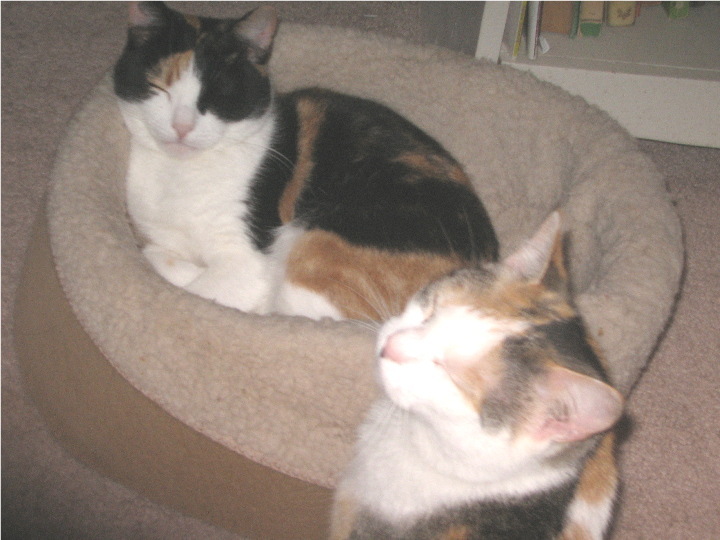 Do I keep or let go of my two wonderful cats? My babies. My rescue babies. My precious kitties who know when I”m upset and who snuggle next to me every night. My fabulous animals who chase each other up and down the hall and then one of them will wait around the corner so she can pounce on the other. Because, you see, this darned COPD is not well enough yet. And every night I cough, and every day the cat hair build up all over the house and I’m afraid my sweet babies are making/keeping me sick. How do I make a decision like this? It’s certainly not necessary to talk with friends and family about it. I KNOW the right thing to do, because my doctor told me so and because of how I feel. I just don’t know how I can live without them. Yep – I’ll turn this one over to God tonight. It’s too big for me. And I know that if I listen carefully, God will not only let me know what to do, but He’ll also give me the strength to do it and survive it, maybe feeling even better than I do today.